The Division of Geriatric Medicine, the Gait and Brain Laboratory at Parkwood Hospital and the Lawson Health Research Institute, are proud to announce their participation in “The Canadian Medical Hall of Fame: Discovery Days”. 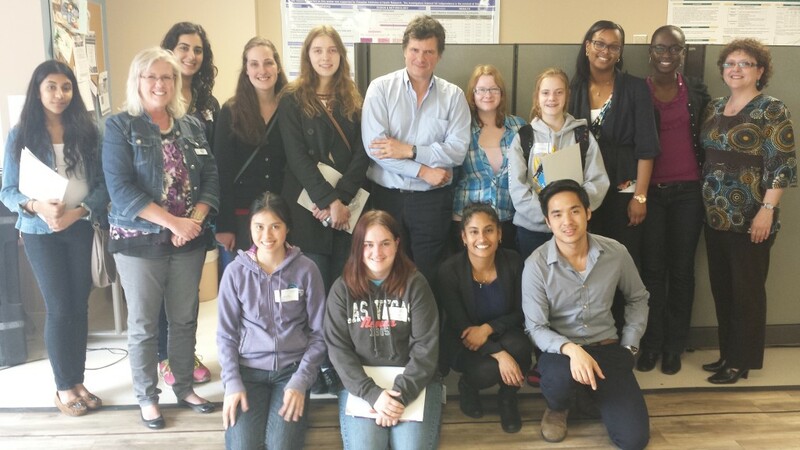 Elyse Gordon, a Master’s student with Dr. Montero-Odasso co-coordinated and co-hosted the session entitled “Walking the Walk While Talking: How your brain affects your walk” for students visiting from high schools across the greater London area. 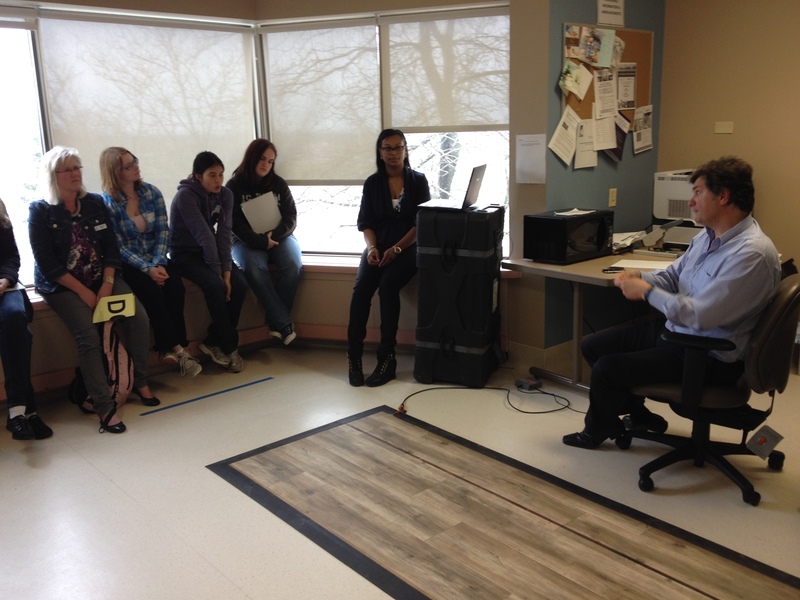 Using the ‘walking while talking’ example, the presentation demonstrated to students how mobility and cognition interact and how impairments can impact the daily lives of seniors. The event provided a rare opportunity for high school students to explore careers in medicine, research and the health sciences through interactive workshops featuring scientists and clinicians behind cutting-edge research. 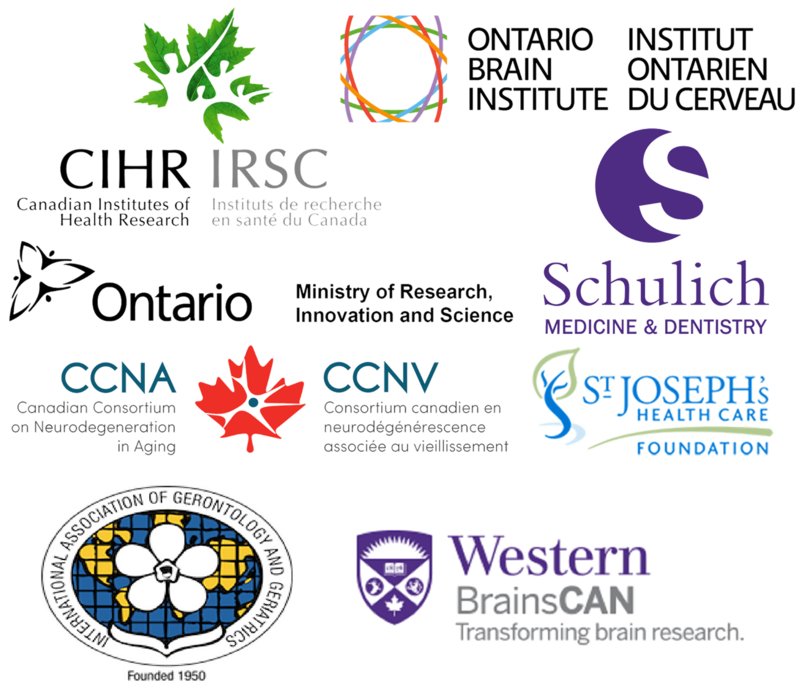 This event was sponsored by Western University and Fanshawe College and supported in for a research grant from the Ontario Ministry of Research and Innovation (Dr Montero-Odasso’s ERA Award).